Check out this cool cover from Justin Moore. Alright. Give this one a chance. 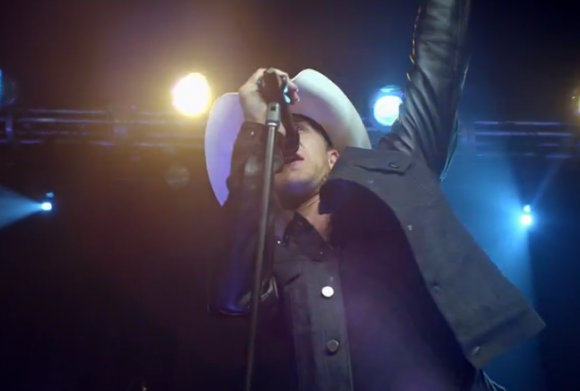 You have one of the most country of all country stars today, Justin Moore, covering one of the biggest rock songs of all time from the late ’80s. Just listen to this one the entire time. I think you’re going to like it. I’m not a fan of all music, but I do like different genres of music. There are the pop songs from the ’60s and ’70s that my parents listened to all the time. I grew to like them. There are the country songs of the ’90s that I grew up with and then there are the rock songs of the ’80s that somehow worked their way into my life over the years. When I heard that Big Machine artists were going to record an entire cover record of Motley Crue songs I was a little skeptical. Motley Crue is retiring in the next couple years and they want to go out big. I think there is a movie. I think there is a big tour and I there is for sure going to be his country tribute record. The single from that record is going to be Motley biggest song covered by Justin Moore. And I have to say that Justin kills it on this record. And it’s pretty cool to have Vince Neil, Motley’s lead singer, singing on the harmonies. That was a nice touch. There is definitely a rock edge to this track, but I think Justin does a fine job making it his own. I think country fans are going to like this one each time it’s played on radio. The song is catchy. It’s a familiar theme and Justin is a rising star. I think it will only make him a bigger one.